Following a razor close draw last November, Tyron Woodley and Stephen "Wonderboy" Thompson met for a second time in the main event at UFC 209 with the welterweight title on the line. With the first bout ending with each fighter believing they did enough to win, both Woodley and Thompson approached the rematch with a much more tactical style in an attempt to capitalize on the smallest possible mistake. The chess match went back and forth for all 25 minutes, but when it was over the judges ultimately scored the fight in favor of Woodley, who retained his title with a majority decision. Heading into the title fight rematch, Woodley was once again the underdog according to fantasy players, with 45 percent picking him to win and the other 55 percent selecting "Wonderboy." Woodley defied the odds to defend his title for the first time while putting Thompson behind him after two hard fought battles in the Octagon. 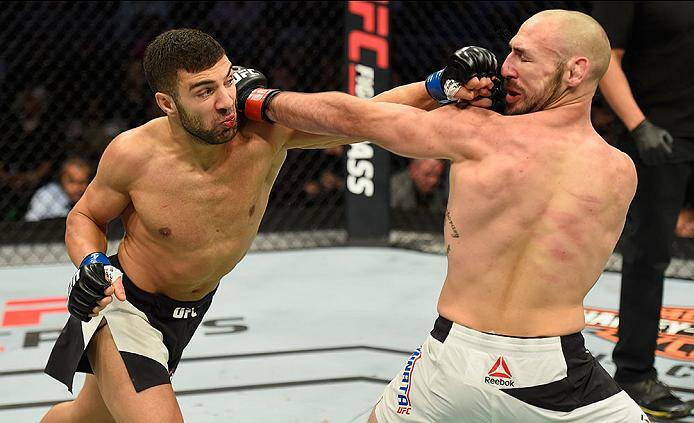 In the co-main event, David Teymur was a massive underdog for his fight against Lando Vannata, who had been nothing short of a human highlight reel through his first two bouts in the UFC. Yet Teymur executed a strong striking attack over three rounds to get the better of Vannata in a Fight of the Night effort. Teymur was selected by just 22 percent of fantasy players going into UFC 209, which made his win that much more impressive as he moves to 3-0 inside the Octagon. The upsets kept coming in the middleweight matchup between former champion Rashad Evans and four-time Olympic judoka Dan Kelly. Evans was sizable favorite, with 79 percent of players picking him versus just 21 percent selecting Kelly, but the 39-year-old Australian ultimately walked away with a split decision victory to move his UFC record to 6-1. The main card of upsets continued in the women's strawweight bout between newcomer Cynthia Calvillo and former Ultimate Fighter competitor Amanda Cooper. Despite taking the fight on short notice, Calvillo looked outstanding as she dished out a first round rear naked choke to finish Cooper after 46 percent of players picked her in the fantasy competition. Those players also earned an additional 40 points because it was Calvillo's UFC debut. Finally, Alistair Overeem opened the main card with a thunderous knockout over Mark Hunt in one of the most jaw dropping performances of the night. Just 40 percent of players had Overeem getting the win, although 52 percent did say he would get the job done by knockout, which is exactly what he did to finish Hunt at UFC 209. In the prelims, Marcin Tybura kept the string of upsets alive and well as he earned a victory over Luis Henrique after just 39 percent of fantasy players picked him to win. 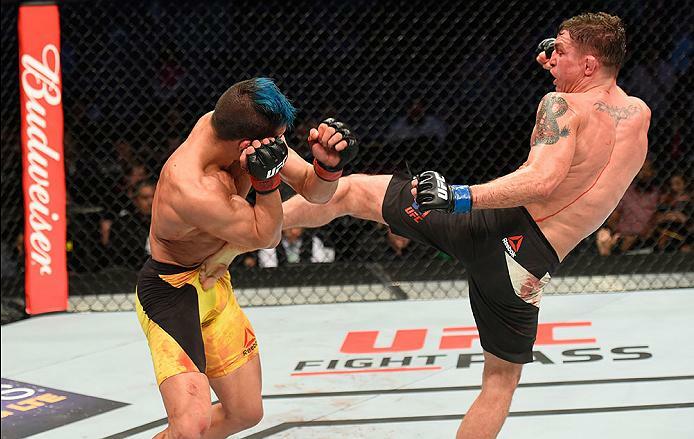 Another one of the massive upsets took place in the featherweight division, as Darren Elkins earned a Performance of the Night award for his incredible comeback victory over highly touted prospect Mirsad Beknic. Elkins was selected by just 22 percent of fantasy players going into the night and through the first two rounds it looked like the odds were right on the money, but somehow he was able to fight back and earn a TKO victory in the third and final round. The first favorite of the night to come away victorious also had to battle back from adversity as Iuri Alcantara pulled off a kneebar submission to beat previously undefeated bantamweight prospect Luke Sanders. Alcantara was selected by 65 percent of the fans going into the event, but he had to battle back from a lopsided opening round to catch the submission in the second to get the win. Mark Godbeer also got the job done as a favorite with 75 percent of fantasy players picking him to beat late replacement and UFC newcomer Daniel Spitz in a heavyweight bout. Albert Morales also got a win as a favorite according to fantasy players after 63 percent picked him to beat UFC rookie Andre Soukhamthath, which is exactly what he did in the first fight of the night in Las Vegas. All told, UFC 209 will go down as the night of the upset, as eight out of 11 fights ended with the underdog getting the win according to the fight selections made in the fantasy competition ahead of the event.